The 2018 NCAA season is still months away, but it is never too early to start knowing the incoming freshman class for each team. This is both a way to begin thinking of potential lineups, and a way to get to know less well-known gymnasts and their routines. 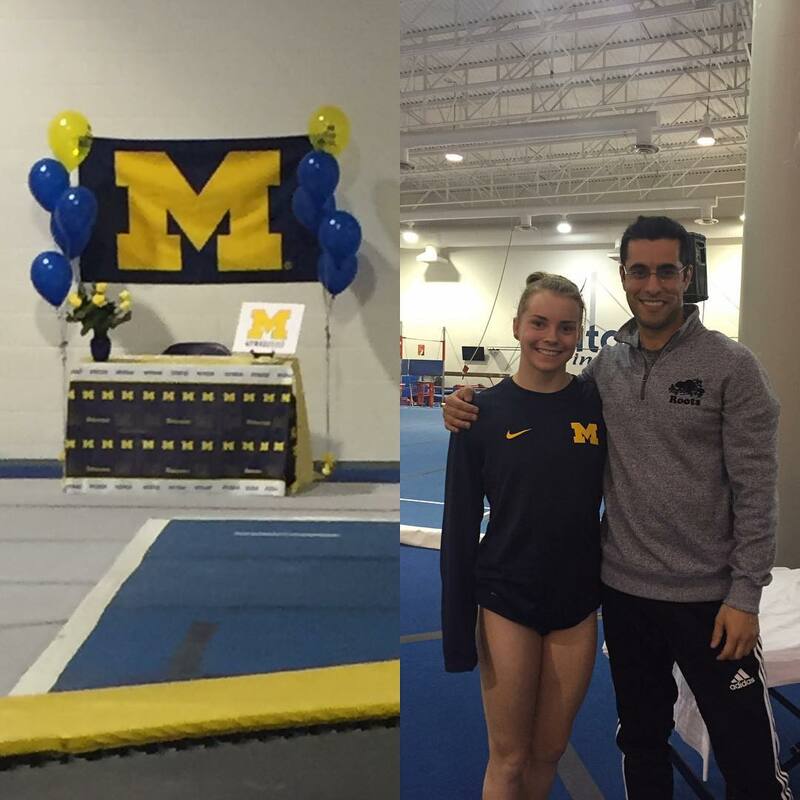 The Wolverines said goodbye to two outstanding seniors: Talia Chiarelli and Nicole Artz. Artz, an eight-time All-American and the 2017 Big Ten Gymnast of the Year, was an outstanding all arounder for Michigan, capable of scoring 9.950 or better on all apparatuses. Her best scores were a 9.950 on vault and beam, a 9.975 on bars and a perfect 10.0 on floor, which came last season against Illinois. Chiarelli, the 2016 Regional champion on floor exercise and the 2017 Big Ten champion on balance beam, was an asset for the Wolverines on vault, beam and floor. Her best score on vault was a 9.925, while her best scores on beam and floor were two outstanding 9.975s. These two outstanding seniors are hard to replace, but Michigan will welcome four new equally outstanding freshmen: Lauren Farley, from Dallas, Texas; Carly Gordon, from New York City, New York; Samanta Javanbakht, from Virginia; and Sydney Townsend, from Burlington, Ontario, Canada. 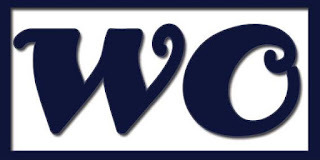 Lauren Farley trains at WOGA, the famous gym that produced Olympic champions Carly Patterson, Nastia Liukin and Madison Kocian, as well as such NCAA stars as UCLA’s Katelyn Ohashi and Oklahoma’s Natalie Brown. Farley is a two-time J.O. National qualifier (2015 and 2017). In 2015 she finished first on bars and second in the all around and on balance beam. In 2017 she was again second on beam, as well as eighth on floor and ninth in the all around. Farley won an astonishing number of medals at State and Regional championships. In 2015, at the State championships, she won both the all around and the uneven bars titles. At Regionals later that year, she won gold on beam and silver in the all around and on bars. In 2016, at the State championships, she won bars and beam, and was second in the all around and on floor, while at Regionals she was third on vault. In 2017, at the State championships, she was first on bars and beam, second in the all around and third on vault and floor. Finally, at Regionals this year, she won gold on bars, silver in the all around and on beam, and bronze on vault and floor. Farley also competed as a junior elite gymnast in 2013 at the Secret U.S. Classic, where she tied for ninth place on the uneven bars. Farley is an incredibly talented all arounder, and will easily replace Nicole Artz as one of the best gymnasts on the team. She is very strong and clean on all four apparatuses. On bars, she performs a Tkachev, a piked Jaeger and a difficult double front dismount. On beam, she competes a free-walkover into leap jump, a BHSO + LOSO series, a switch leap into back tuck and a one-and-a-half twisting dismount. On floor, her tumbling passes are a double tuck, a one-and-a-half twist into front layout and a double pike, but she also has potential for some upgrades, and she has beautiful pointed toes and foot work typical of WOGA gymnasts. Finally, on vault she competes a difficult layout Arabian from a Yurchenko entry, which starts from a 10.0 in the NCAA. She will be a treat to watch! Carly Gordon trains at Chelsea Piers Gymnastics. She has been training as a Level 10 gymnast since 2012. Gordon competed at the J.O. National Championships in 2014, where she finished fifty-fifth in the all around. That year at the State championships, she was second on beam, fourth on bars and fifth in the all around. And later at Regionals she did even better, finishing third in the all around, second on beam and tied for third on bars. In 2016, at the State championships, she finished ninth in the all around and on beam, and tied for eighth on bars. Later that year at Regionals, she finished third on the uneven bars and ninth in the all around. In 2017 she competed at the Manhattan Classic, where she won silver in the all around and on bars, and tied for gold on balance beam. Gordon is a solid beam worker. She competes a difficult back-handspring step-out into layout to two feet, a switch leap into back-handspring step-out and a very difficult three-quarter leap. On bars, she competes a Pak salto and a double tuck dismount. On vault, she competes a Yurchenko layout. And on floor her tumbling passes are a double tuck, a half twist into front layout and a one-and-a-half twist, and has tons of potential. Overall, she is a very solid gymnast, exactly what Michigan needs. Samanta Javanbakht trains at Capital Gymnastics National Center. She has competed as a Level 10 gymnast since 2014. Javanakht is a two-time J.O. National qualifier (2016 and 2017). In 2016 she finished twenty-seventh on beam and fifty-third in the all around. In 2017 she tied for twenty-sixth on bars, for thirtieth on beam and was forty-fifth in the all around. In 2016, at the State championships, she won bronze on floor, and was ninth in the all around. At Regionals later that year, she was seventh both on bars and in the all around. In 2017, at the State champioships, she won silver in the all around and on floor, and was fourth on bars and beam (tied). At the Region 7 championships, she finished fifth on floor, tied for seventh in the all around and for tenth on vault, and was tenth also on bars and beam. Javanbakht is a very solid performer on all apparatuses, and has great potential for upgrades and improvement. On vault, she performs a Yurchenko layout. On bars, she competes a Jaeger, a full pirouette, a shoot over to low bar and a double tuck dismount. She lacks a bit of confidence on beam, but she produces some beautiful and unique work, including a BHSO to layout to two feet, a leap jump into back pike and one-and-a-half-twisting dismount. Finally, on floor, she competes a one-and-a-half twist into front layout, a front layout into front full and a high double pike. She has exquisite presentation, with beautiful pointed toes and extended arm work. Sydney Townsend trains at Milton Springers Gymnastics and is a member of the Canadian national team. Townsend made her elite debut as a junior in 2011, winning silver on vault and placing fourth on beam and seventh in the all around at the Canadian championships. In 2014, she represented Canada internationally both at the junior Pan-American Games and at the Youth Olympic Games. At the Pan-American Games she won gold with the team and finished fourth on balance beam. At the Youth Olympic Games she placed seventh on vault and floor and twelfth in the all around. In 2015, she was selected to represent Canada at the World championships in Glasgow, and helped her team qualify for the Olympic Games in sixth place. In 2016, she competed at Elite Canada, where she finished fifth on floor and seventeenth in the all around, and at the International Gymnix Senior Cup, where she placed third with the team. Townsend’s best apparatus is vault, as she performs a clean and beautiful one-and-a-half-twisting Yurchenko. She is also very talented on floor and balance beam. On floor, she competes a double Arabian, a double tuck and a two-and-a-half twist. On beam, she is very solid and presents some unique elements. She competes a beautiful sheep jump, a switch leap half, a free cartwheel to two feet, BHSO into back tuck series and a front tuck. Finally, Townsend has potential also on bars, where she competes a Tkatchev, a Gienger, a full pirouette and a full-in dismount. Good luck to the future Wolverines!